County Commission. He came very close to winning. snapping wildlife photos in the Serengeti. But in the meantime, I aim to spend more time on the Peach State’s least-traveled paths in pursuit of dirt-road sports. You know where they are, but I need your help finding them. Regardless of population, each of Georgia’s 159 counties has unforgettable characters. And with your assistance, I’d like to find‘em. What’s a dirt-road sport? You might find a few inside city limits, but it’s best to roil a little dirt-road dust to locate these sports. Let me introduce you to three notable dirt-road sports from my hometown’s neck of the woods. Years after their deaths, people in Southeast Georgia are still repeating stories of Alex, Allie and Big John. You can’t make up the stuff that this trio left behind in Long and Wayne counties. But John didn’t die poor or from eating too many turtles. If you peeked into the paper sack on the seat of this dirt-road sport’s truck, there was likely a wad of cash big enough to choke a mule or two. Like Big John, Allie’s center of the universe was the Altamaha River. And his axis spun on 6,000-acre Boyles Island. I earned my first paycheck —two dollars— when I was 8-years-old, punching livestock off trucks and trailers at my buddy’s grandfather’s stockyard. I remember Steve pointing and whispering, “There’s Allie. He traps wild cows in the swamp and brings them here to sell.” Pine-knot tough, Allie was famous for two things: his fists and his swamp savvy. He stood ready to take on all challengers in either category. Before Allie died, I sat with a group of friends on white oak stumps around a campfire and listened to him retell stories that made him a legend. Allie regaled us, recounting raucous scuffles. In midsentence—as if there were doubters—Allie stood up and dropped his khakis. As he tugged on the hem of his boxers, we could see the scar where a Pierce County opponent had bitten a plug out of his inner thigh. “When I saw that feller string out my tendons like spaghetti,” Allie said, “that’s when I really wore him out.” And when the embers faded in that night’s fire at Oak Landing, I was worn out from laughing at this dirt-road sport’s stories. The late Lewis Grizzard was mesmerized by Alex, a colorful timber baron. Lewis told his readers that Hollywood had Crocodile Dundee. Jesup had Alex. Lewis said the difference was that Alex was for real. 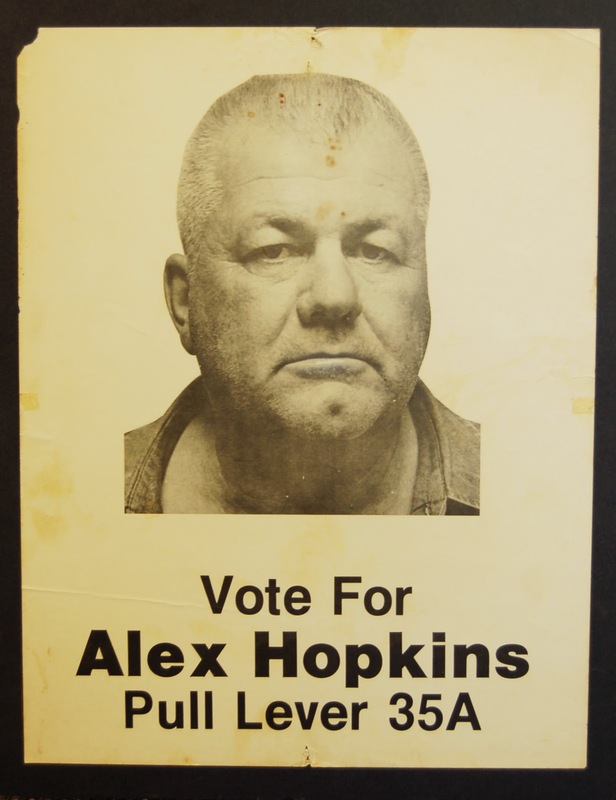 I’ll never forget the time Alex ran for county commissioner. He marched into my office and declared, “My motto: They will tell the truth or there is going to be a fistfight every first Tuesday.” With a few more votes in Alex’s favor, those meetings would have been a movie in the making. And I’ll never forget the “fight” between Alex and Coach Clint Madray. The high school needed light poles for its new baseball diamond. Alex wouldn’t sell or donate the best poles in Wayne County, but he’d ‘rassle the athletic director for them. Our Wally Butts protégé pinned Alex, and the poles are still standing, long after this dirt-road sport was laid to rest. Somewhere in Northeast Georgia, there are characters like John, Allie and Alex. I’m hankering to meet ’em. Can you help me?